At C-Auto Glass, our mobile services extend throughout Ohio. With a fleet of mobile service units, we're able to provide replacement auto glass and windshield repair services in Akron, Canton, Lorain, and more from our headquarters in Cleveland. 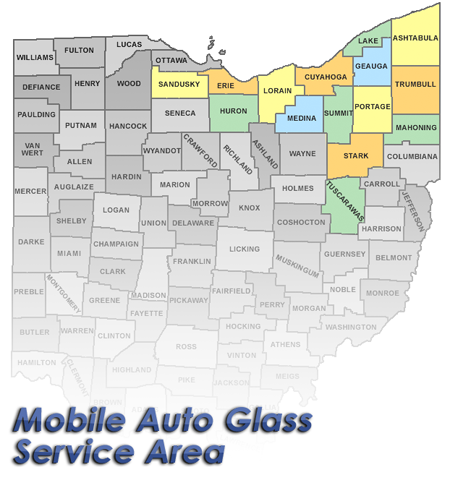 Below is a list of Ohio metropolitan areas in which we provide mobile auto glass services. We're constantly expanding our services throughout Ohio so if you don't see your area listed already, check back often for updates.